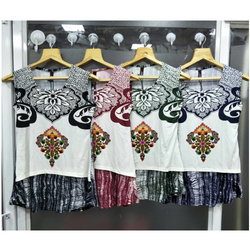 We are the manufacturer of Ladies Knitted Top. With the help of our expert team members, we have been able to provide Cotton Knitted Top. Coral color waist length top made from rayon features pleated flair sleeves round neck with back string tie up. 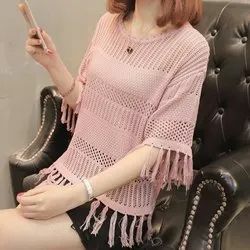 We are offering Knitted Tops to our clients. Ladies top with sublimation print with sequins. Sleevless knitted tops a range of sleeveless ladies knitted tops that have got a high demand in the market. These tops are available in wide range of colors, sizes and patterns that can also be changed as per the requirement of our clients. Our range is great for summer season and and can be custom designed. This cape like top is all about flow & movement.Available in a unique pastel palette of colours, this Viscose-knit top has a wide scooped neckline and wears especially well with shorts. It simple colour and neckline give you the opportunity to pair with a statement neckpiece.